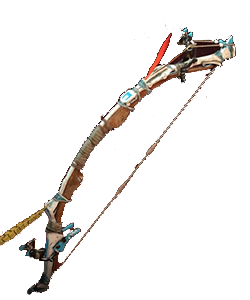 Carja Hunter Bow is a Weapons in Horizon Zero Dawn. This Bow havs a fast reload and aim speed and is good at close to medium range. Because this version can use fire arrows as well, it excels at setting enemies and objects on fire.